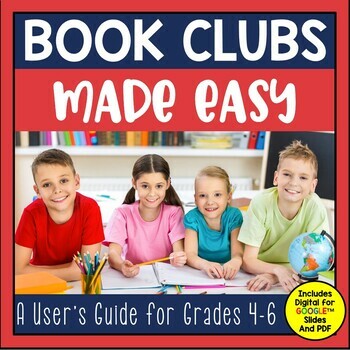 This Book Clubs User Guide includes both a black and white PDF version for inexpensive printing and use with small group paper/pencil needs and in a digital format using Google Slides for use with one-to-one classrooms. 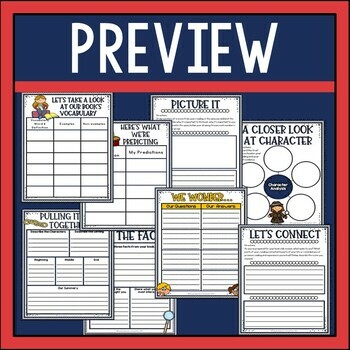 All materials included can be used with ANY book before, during, and after reading. The table of contents is listed below, and sample pages are viewable in the preview file. 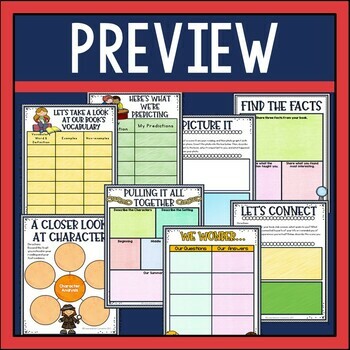 The materials are interactive and include written responses for group accountability. 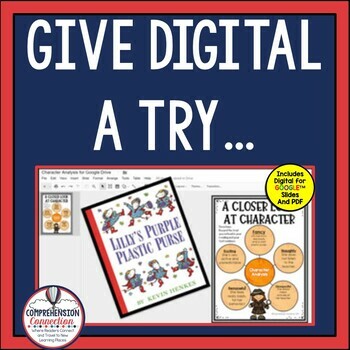 Directions are included on how to use one slide or assignment at a time with Google Slides, and students can either print their finished assignments or submit them to you electronically through file sharing or through Google Classroom. ✱ Please go to your My Purchases page (you may need to log in). Beside each purchase, you'll see a Provide Feedback button. Simply click it and you will be taken to a page where you can give a quick rating and leave a short comment for the product. I value your feedback greatly as it helps me determine which products are most valuable for your classroom so I can create more for you. ✱ Look for the green star near the top of any page within my store and click it to become a follower. You will then receive customized email updates about this store.